Humberside Airport anticipates its 2019 Travel Show will be bigger and better than ever with it hosting the highest number of travel industry leading operators attending to talk to the public on Sunday, January 6. Humberside Airport opens its doors to the Travel Show at 11am till 3pm, and it is a free event for all the family, offering the chance to bag a great bargain holiday for 2019 with discounts offered for holidays booked on the day. Industry leaders including Thomas Cook, Jet2 Holidays, Balkan Holidays, Transun, Airways, Newmarket Holidays and Super Break will all be in attendance in the check-in hall promoting their 2019 holiday programmes. Tail wagging huskies will be at the airport to support Super Break’s Humberside Airport programme to Iceland, while there’s a flight simulator, children’s entertainer and competitions as additional attractions. There’s also free car parking for those visiting, covering the duration of the show. Deborah Zost, Humberside Airport’s managing director, said: “We are only a couple of weeks away from the 2019 Travel Show, but it will feature the greatest number of leading holiday operators in attendance to promote what we have on offer from the airport and region. This is the tenth year that Humberside Airport has organised and hosted the annual travel show at the airport. 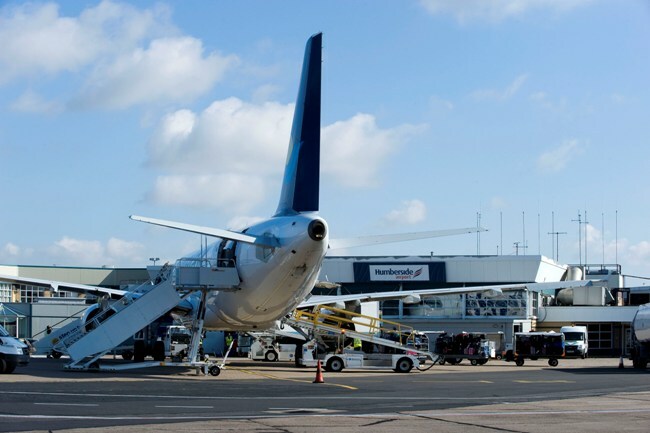 Humberside Airport provides a range of international and domestic scheduled services, along with holiday charters, private charter flights and helicopter operations to support the offshore gas and renewables sectors to and from the East Yorkshire, the Humber and Lincolnshire region.